Following the success of Star Wars and Battlestar Galactica, Glen A. Larson developed Buck Rogers in the 25th Century for television. Props, costumes, effects shots and sets from Battlestar Galactica (1978) (still in production at the time) were recycled for the series. The series ran for two seasons in America from 1979 – 1981. 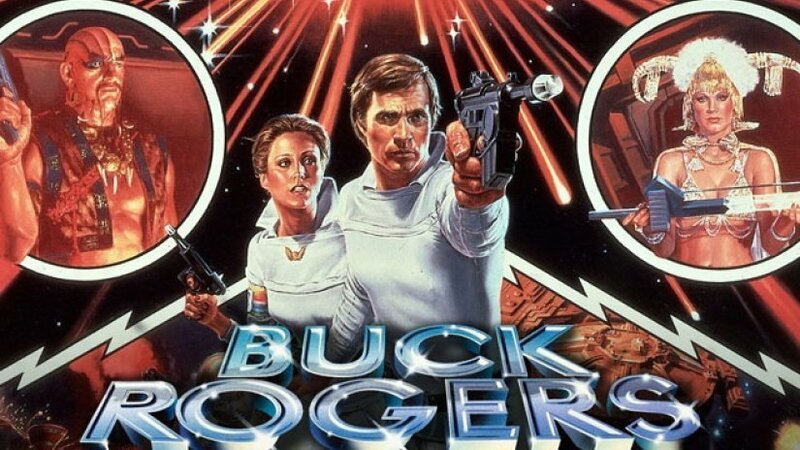 ITV began showing Buck Rogers on 30th August 1980. It was in the same Saturday timeslot that the BBC began screening season 18 of Doctor Who. Due to Buck Rogers’ popularity, Doctor Who’s ratings fell from a series high of 16.1 million to a low of 3.7 million. These were the lowest ratings in the programme’s history. This prompted the BBC to move Doctor Who to a weekday evening slot. The BBC began airing repeats of Buck Rogers on BBC Two in 1989 and again in 1995-96. The year is 1987 and NASA launches the last of America’s deep space probes. Aboard this small starship is a lone astronaut, Captain William Buck Rogers. In a freak mishap Ranger 3 and its pilot are blown out of their trajectory. His life support system is frozen and returns Buck Rogers back to Earth 500 years later. He is forced to readjust to a new world and its people – who blame his generation for a nuclear holocaust which left the earth a radioactive wasteland. 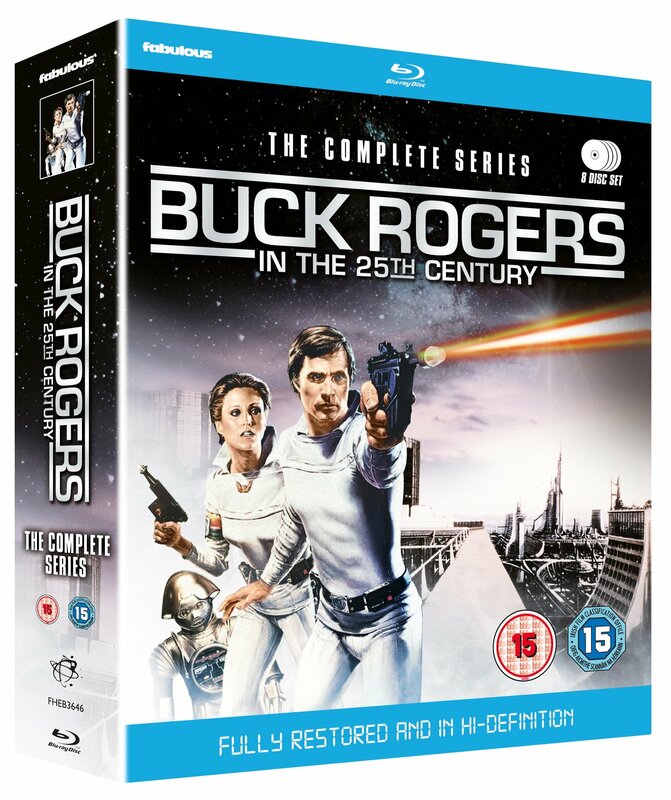 Buck is soon enlisted to help save the Earth from an alien threat, working with Colonel Wilma Deering and a robot-droid known as Twiki. They roam space and planets to welcome back the lost and dispossessed. Twiki was mainly played by Felix Silla and voiced by Mel Blanc. Felix Silla also played “Cousin Itt” in The Addams Family. Mel Blanc, was an American voice actor who voiced pretty much every cartoon character you can think of including Bugs Bunny, Daffy Duck and Porky Pig. Gil Gerard, Erin Gray, Pamela Hensley (Season 1), Tim O’Connor (Season 1), Felix Silla, Mel Blanc, Eric Server (Season 1), Thom Christopher (Season 2), Jay Garner (Season 2), Wilfrid Hyde-White (Season 2). ‘Buck Rogers in the 25th Century’- Theatrical version of the pilot episode ‘Awakening’, a feature Length version of ’Flight of the War Witch’ and a syndicated 2-Part Version in Hi-Definition of ‘Journey to the Oasis’. To be in with a chance of winning, simply tell us which is the lead article on Flickfeast at the time of commenting. Submit your answer via Twitter, Facebook or in the comments below. Winners will be announced on Monday 19th of March. Good luck! Can you escape The Tomb Raider Room?